The Hozelock Ultra Twist is a unique 2-in-1 spray gun, that with a simple twist converts into a lawn sprinkler saving you time switching between attachments. 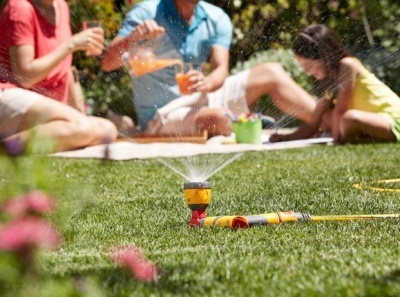 The multi-purpose hose attachment has four spray patterns: rose for gentle watering, fast fill for filling buckets or watering cans, jet which is ideal for cleaning and a sprinkler. Provides you with complete control of water delivery, meaning happily watered plants with minimal water wastage. Water flow is regulated by how much you squeeze the trigger – the more you depress the trigger, the greater the amount of water delivered. 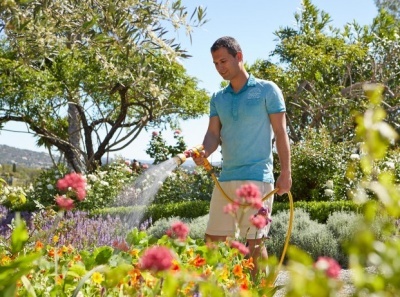 If watering for a prolonged time the trigger can be locked in position to reduce any strain on the hand (2). 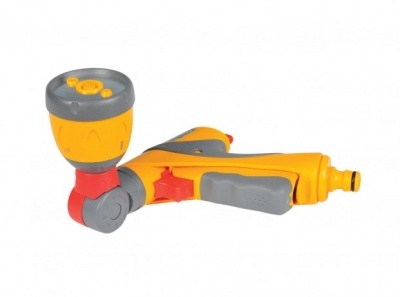 Even when the trigger is locked on the flow of water can still be regulated utilising the flow control feature on the trigger handle (3).